“Israel still calls itself a Jewish state, but a situation in which we rule an occupied people that has no rights, can not persist in the 21st century, in the modern world. And as soon as they do have rights, the state will no longer be Jewish,” added Morris. Morris, who was injured by an Egyptian artillery shell in 1969, was discharged from the military to eventually become one of Israel’s influential historians. 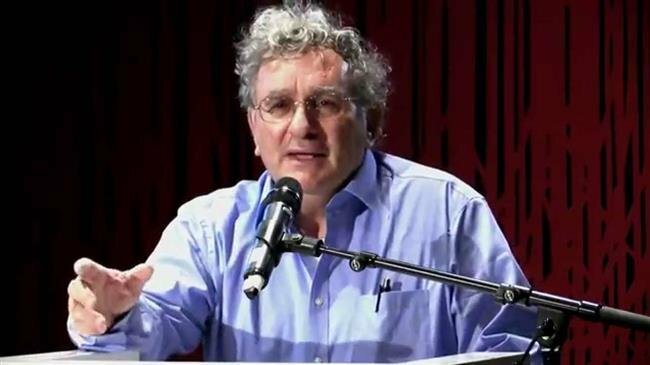 Describing himself as a staunch “left-winger” and “Zionist,” Morris is part of a controversial group of Israeli revisionist historians, openly admitting to and defending events like the 1948 expulsion of Palestinians that is today remembered as the Nakba Day. “A Jewish state would not have come into being without the uprooting of 700,000 Palestinians. Therefore it was necessary to uproot them. There was no choice but to expel that population,” said Morris in an interview with Haaretz in 2004. Today, however, Morris believes Israel faces a bleak future considering Arabs’ non-integration in Israel and their larger population. “The Palestinians look at everything from a broad, long-term perspective. They see that at the moment, there are five-six-seven million Jews here, surrounded by hundreds of millions of Arabs,” the historian said in the Thursday interview. Morris further envisions how an Israel dominated by Arabs will slowly disintegrate. “The Arabs will demand the return of the refugees. The Jews will remain a small minority within a large Arab sea of ​​Palestinians,” the historian said. Many Jews, however, have rejected the Zionist concept of Israel being a legitimate Jewish state, dismissing Morris’s understanding, which pits Jews against Arabs. Rabbi Dovid Weiss, spokesman of the Jewish Neturei Karta International group, told Press TV in October that “There is no legitimacy to the occupation.” The Zionist regime, he said, has “no right to any part” of the Palestinian land. “We are telling the world: Step back and free the Jewish people and the Palestinian people together from this terrible, terrible disastrous Nakba, the occupation,” added Weiss. Leader of the Islamic Revolution Ayatollah Seyyed Ali Khamenei believes occupied Palestine will be liberated through Palestinian resistance, provided that they maintain unity. “The Zionist regime — as we have already said — will cease to exist in the next 25 years if there is a collective and united struggle by the Palestinians and the Muslims against the Zionists,” Ayatollah Khamenei said in December 2016. On the side of the Zionist regime, Israeli Prime Minister Benjamin Netanyahu has tried to convince world public opinion that Iran’s call for the liberation of Palestine is synonymous with genocide. Iranian officials have, however, refuted those claims, stressing that Iran prefers a peaceful solution for Palestine, calling for a referendum where Palestinians can decide the fate of their territory.